Governor Aminu Tambuwal of Sokoto state, has won the Sokoto governorship election. The incumbent Governor got the highest number of votes after collation of results of the supplementary poll on Sunday. 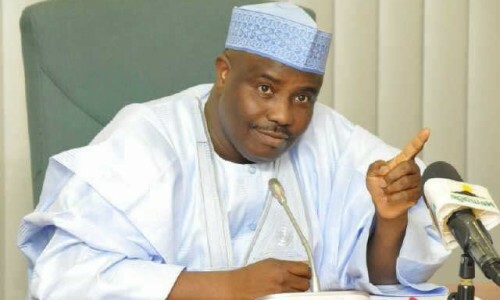 Tambuwal polled a total of 512,002 votes to retain his seat, while his closest contender, Ahmad Aliyu of the All Progressives Congress, APC, scored 511,661. The incumbent governor won by just a 341 votes margin.